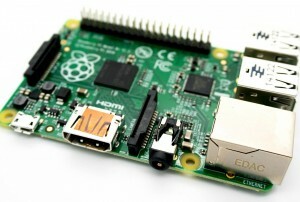 While software is available to block adverts on your computer, the Raspberry Pi can block adverts on all devices connected to a network. Ad blocking software is readily available for those wanting to block adverts on a single computer, but for businesses working across a range of devices, a more powerful software programme is needed. Similarly, for people wanting to block adverts on mobile phones, tablets and other portable devices, even in- game and in-app adverts, ad-blocking to date has been difficult without risking damage to your device. Thanks to the Raspberry Pi, DNS based network wide ad-blocking is now a reality. Alex Viall from Mustard IT expalined how it works, and why it is actually so simple to set up (if you are an It pro!). For those who don’t know what the Raspberry Pi is, the Raspberry Pi is a mini, caseless computer which can be set up to work for a variety of different purposes, for example as a home media centre. Using Raspbian, a custom version of Linux, it can also be used to create a network-wide ad blocker for computers and IOS and Android devices. The Raspberry Pi is a pocket sized device and costs less than £40, a great cost-friendly investment for an advert-free network. To create a network wide ad-blocker, you need to set up a Raspberry Pi image called the Pi-Hole, which blocks adverts at the router level, protecting all devices connected to that router from the interruption of irritating adverts. The Pi-Hole blocks adverts before they reach any smartphone, tablet or computer that is connected to your home network – a much more comprehensive ad-blocker than browser based extensions. For businesses with a whole host of devices connected to a single network, this can be a sure-fire way to protect against adverts, although it should be noted that the Pi-Hole will only work as long as devices are connected to the network. When mobile devices are disconnected from the network, adverts will return. Pie-Hole set up is simple enough, and requires only a few additional items, such as an SD card and keyboard. For a step by step guide on setting up the Pi-Hole follow this link. Why Not Use Adblock Plus? Browser extensions, such as Adblock Plus, remove adverts on a website by website basis, which can slow your device down, increasing page load time by 15 to 50 percent. For businesses using a wide number of connected devices, such as those in an office environment, this can be a problematic and inefficient method of removing adverts. For those looking to block adverts on mobile devices, such extensions are not readily available, and for many the only option is to jailbreak the device – a risky procedure which violates the product’s warranty. As Pi-Hole is a DNS based alternative which blocks ads before they reach your device, there is no longer a trade-off between advert-free browsing and loading speed. Despite the annoyance of in-your-face advertisements, many websites rely on adverts to survive, particularly websites which provide a free service. Use the Raspberry Pi to enjoy the benefits of a free and fast network wide ad-blocker, but be sure to whitelist your most-visited and favourite sites or consider making a donation to keep free websites in business. If you wish to introduce ad blocking to your bushiness network, I recommend Alex Viall from Mustard IT, a London based company which offers professional IT support to businesses in and around London.